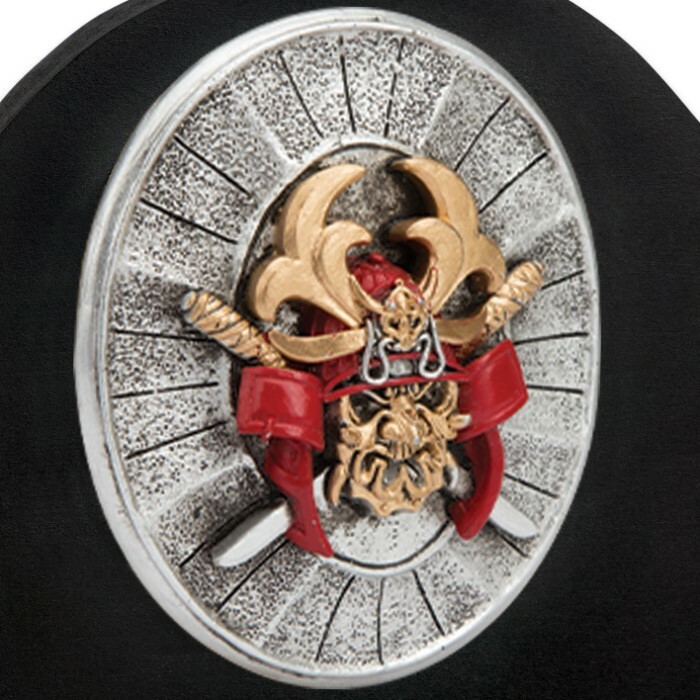 Samurai swords should be prominently displayed, as they are not only examples of supreme sword construction but are also intrinsic works of art. 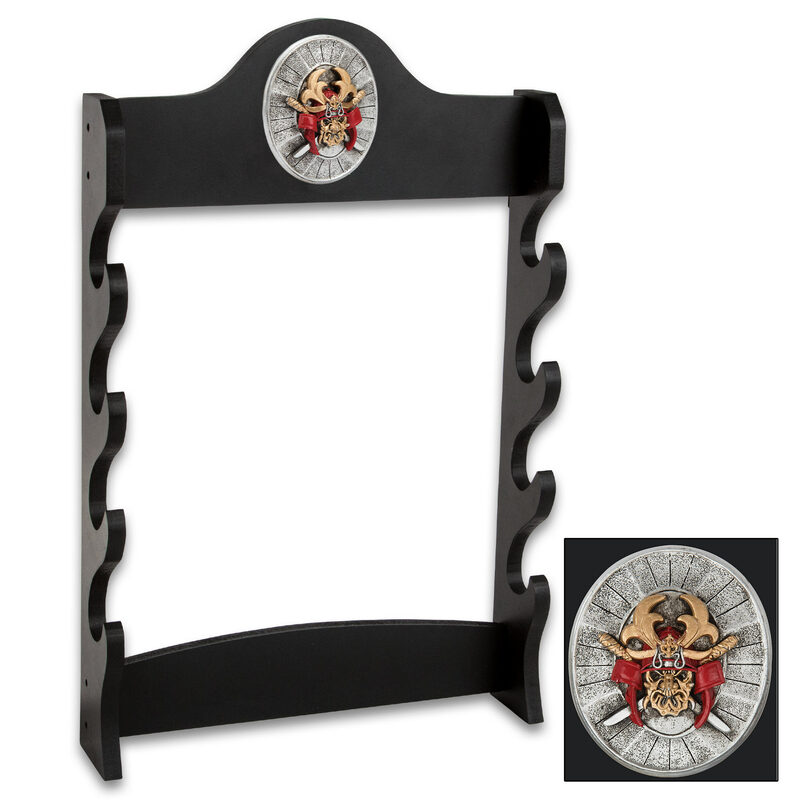 Our Sword Stand With Medallion is a sturdy and attractive black lacquered wooden construction with a cold cast, colorful decorative medallion featuring crossed katanas. 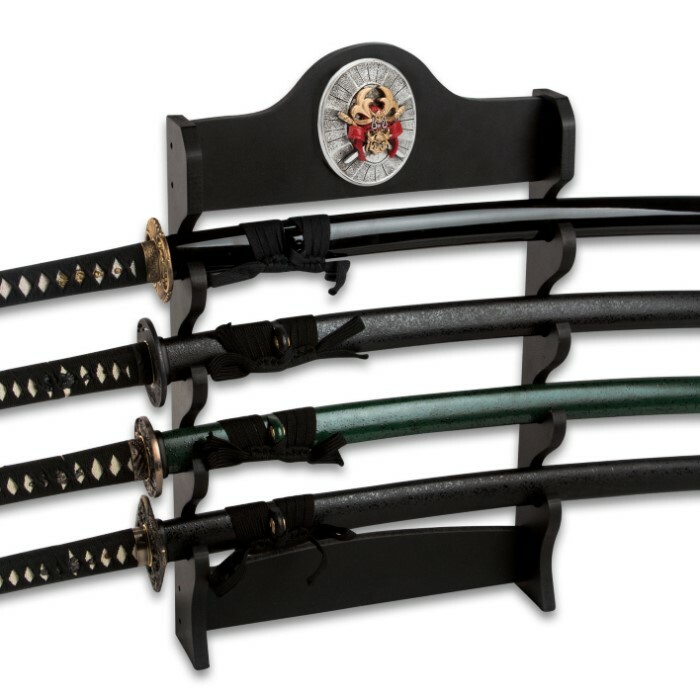 This lovely wall display is capable of displaying up to four Samurai swords. Put your collection on display today!